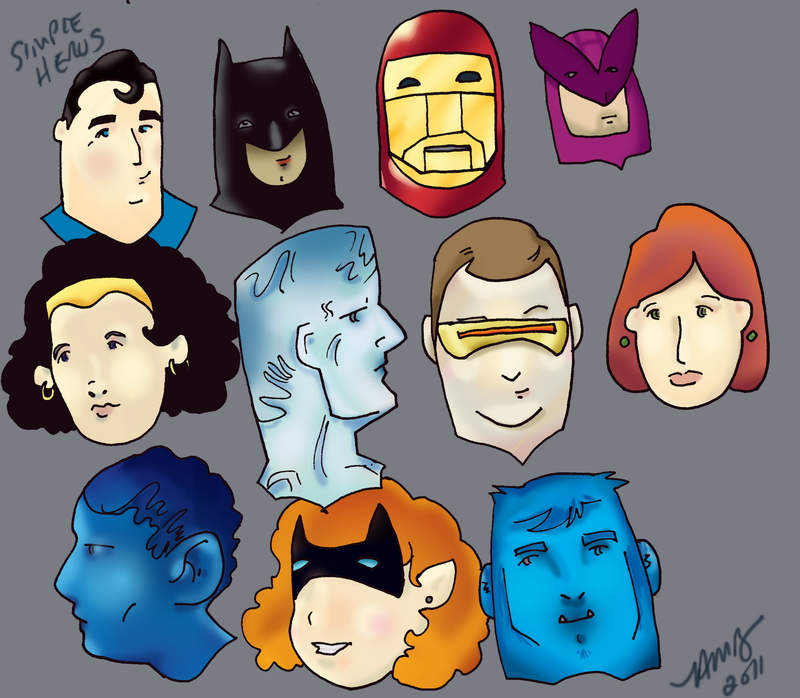 Adam M Botsford - Artist/Illustrator: Simple Super Heros! These were some practice sketches. Mostly for the goal of learning how to use photoshop better and how to render complex images more simply. Will this artwork become like that of the 'Little miss/mr' epidemic on Facebook when people would tag their friends as the characters in it?